“When I’m thinking of sports, when I’m thinking of a boy growing up and being a man, I’m thinking of three things – honor, integrity, and toughness. And a grown man, faking an injury, rolling around on the field fails all three of those tests. Ben Askren is an American former amateur wrestler for the University of Missouri and U.S. Olympic team. He is now a grappler, mixed martial artist and the former Bellator Welterweight Champion and the current ONE Welterweight Champion known for his effective wrestling . He is currently ranked as the #5 welterweight in the world by Fight!Magazine and as the #8 welterweight by Sherdog. Askren finished his collegiate wrestling career with a record of 153–8, with 91 of those victories coming by way of fall. Those 91 pins put him at third on the all-time NCAA Division I pins list. In his four-year career at Missouri, Askren only lost to two opponents, Chris Pendleton of Oklahoma St. and Ryan Lange of Purdue. He was also a four-time All-American, including being only the twelfth Division I wrestler ever to be a four-time finalist. Askren was also nominated for an ESPY in 2007 in the category Best Male College Athlete. On January 9, 2012 it was announced that Askren would be one of six new inductees to the University of Missouri Intercollegiate Athletics Hall of Fame. Askren is a brown belt in Brazilian Jiu-Jitsu. In December 2008, he went to Coconut Creek, FL to train at American Top Team main school where many top fighters train. He currently trains at Roufusport in Milwaukee, where he is the wrestling coach. Asken competed at the 2009 ADCC Submission Wrestling World Championship from September 26—27, in Barcelona, Spain. He won his first match against Toni Linden by arm triangle choke. He lost his second match to Pablo Popovitch, a veteran grappler he had trained with the previous summer, by figure four footlock early in the match. Popovitch went on to win the championship in the under 77 kg (169 lb) division. Askren also competed at the 2009 FILA World Grappling Championship. Askren faced the 2008 World Champion, Jacob Volkmann, in the 84 kg no-gi division. 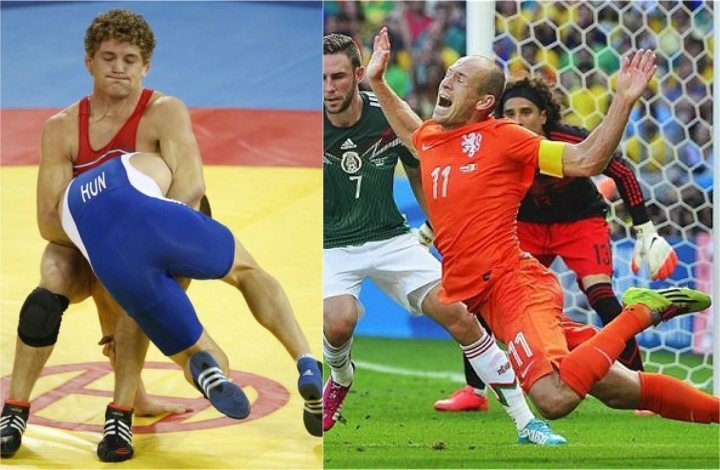 Askren out-wrestled Volkmann and won gold in the category.